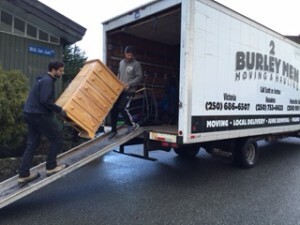 Thanks 2 Burley Men Moving and Hauling! 2 Burley Men Moving and Hauling has donated a van and 2 movers help us move donations from the Donation Days to the house we have rented for our family. They were slated for three hours work, but went far above and beyond what was promised, staying to help us set the furniture in place, and lending a hand with our project. Thanks so much, Lex and Warren from 2 Burley Men! !